How can we work together effectively to solve big challenges, such as the future of our planet? Earth is facing multiple threats and many of us feel the need to try to make a positive difference. But how can we best do that? Are there ways that we can join together and use our rational and emotional skills to create synergies from the power of collaboration? The free Six Seconds’ EQ Café is a fun-but-serious session on using emotional intelligence to improve collaboration. We’ll explore challenges and strengths of collaborating to solve big challenges like improving the environment and will use the Brain Brief Profile (BBP) + Dashboard to focus on Talents for Collaboration. Join this highly participatory EQ Cafe to learn about your individual Brain Style and how, collectively, we can mix and match those skills to become better, together. How your feelings about a challenge, like the state of the Earth, can help you engage in change. Your Brain Style and how to use your style to collaborate with others. 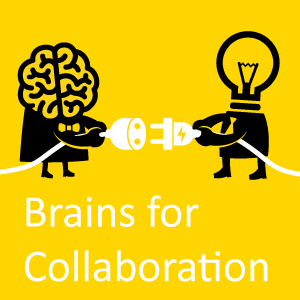 How to understand and work with the collective Brain Styles and Talents of a group. How to translate this approach into action to create positive change. Who: Anyone interested in learning how to work better together to tackle big issues facing the Planet, at work, at school, or in your community.